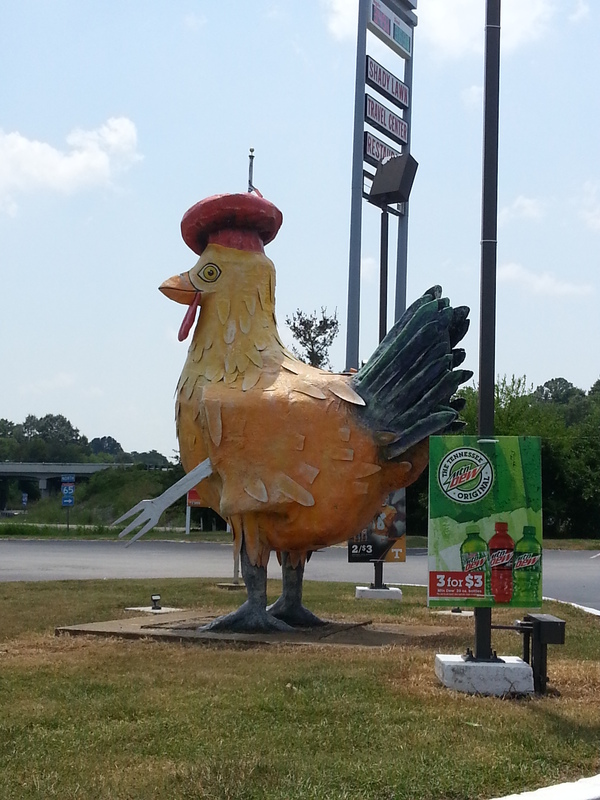 On a recent family trip to Blue Ridge, Georgia, I actually saw a chicken cross the road. 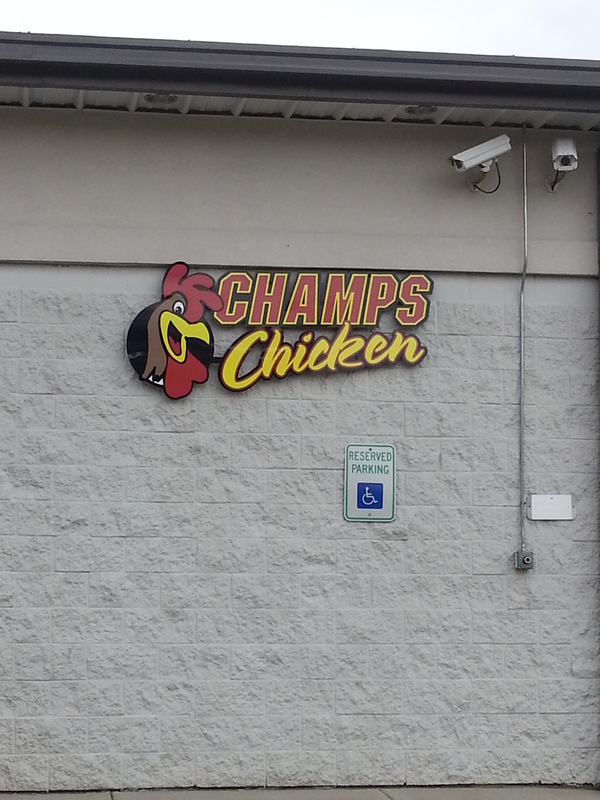 I was laughing so hard and the road was so narrow that by the time I recovered enough to think about taking a picture of the classic kid’s joke happening right in front of us, the chicken was already to the other side and hanging out with his fowl friends. These chickens appear to be just beginning their journey. 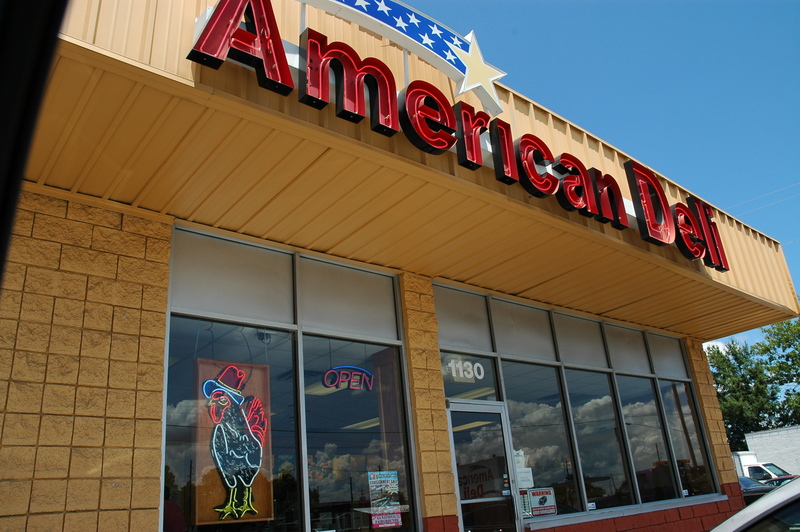 They seem to be running away from the restaurant, which makes sense, but considering they have to cross a busy six-lane road in Jacksonville, Florida, their odds don’t look very good. 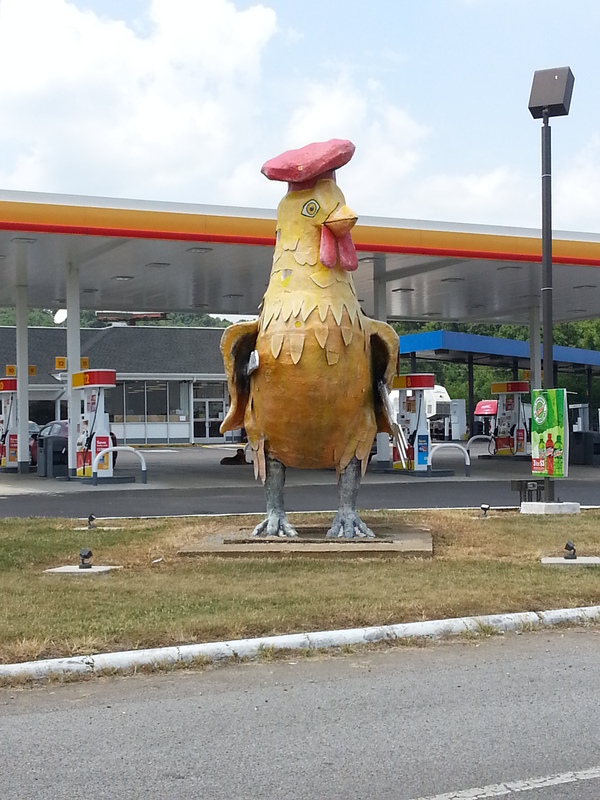 What’s the worst “chicken crossing the road” joke you’ve heard? Leave it in the comments so we can all groan along with you! 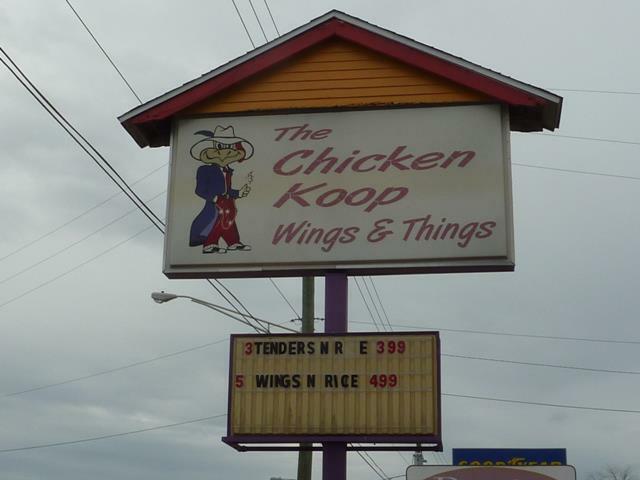 I love this sign, which you can find in Jacksonville, Florida. 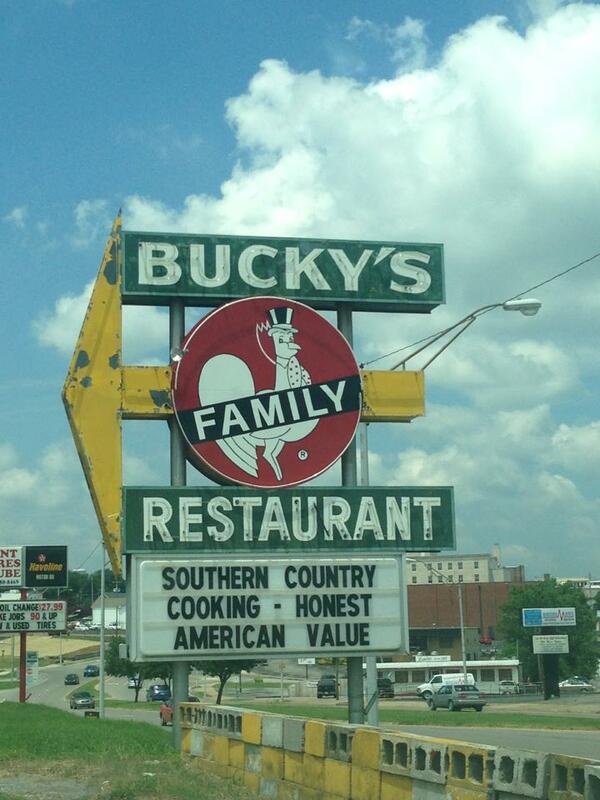 I drove past it two times a day, four days a week, for six months or so, and I grinned almost every time I saw it. 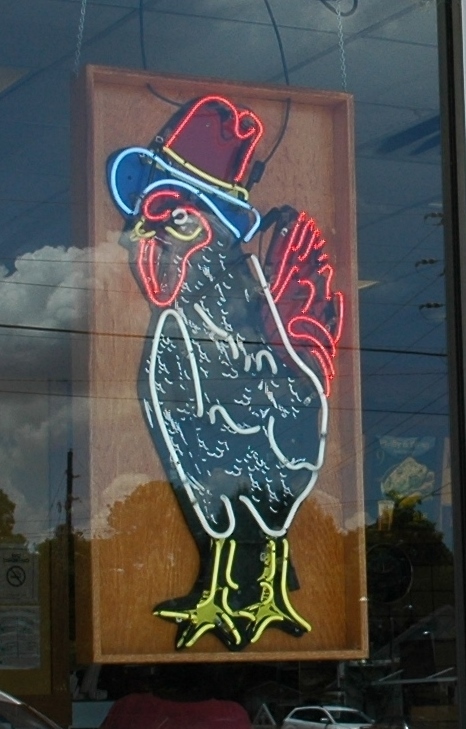 The chicken from Bucky’s Family Restaurant (see Friday’s post for a reminder) is certainly well-dressed, but really, you rarely see poultry with such panache. Let’s take a minute to really examine his ensemble. Snazzy hat? Check, with bonus points for the feather that adorns it. Suit? Check, with bonus points for the suit being red. Black and white formal shoes? Check, and I bet they’re made from alligator skin. 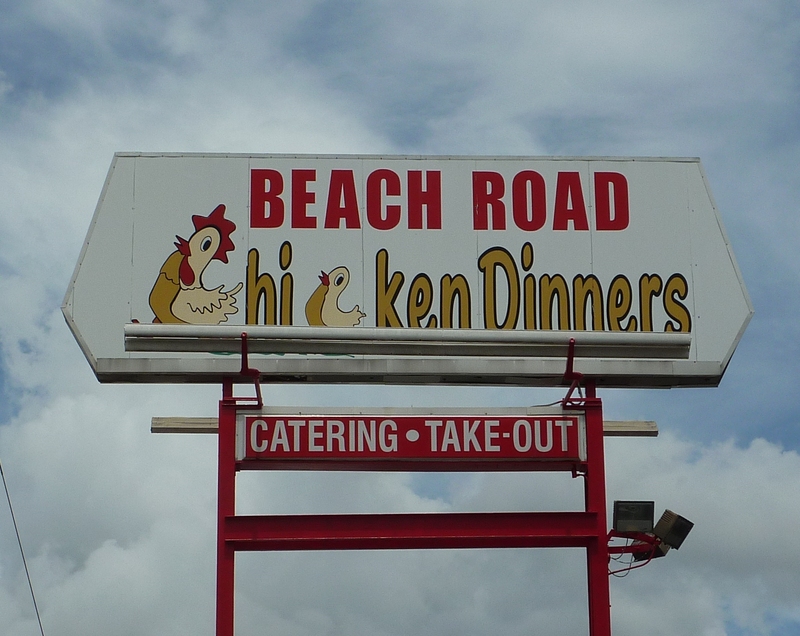 (After all, this is Florida.) Long overcoat? Check, with bonus points for the coat being purple. Finally, he appears to be wearing gloves and he’s holding a cigarette. What’s not to love?